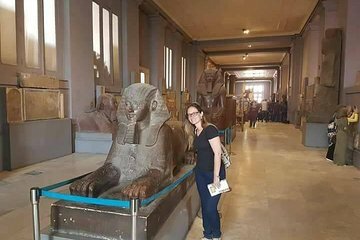 Get a thorough look of the Egyptian Museum on this half-day guided tour. Learn about King Tut’s treasures and other artifacts from different periods spanning different pharaohs from your Egyptologist guide. There are more than 320,000 original pieces of art in the museum. Entry into the Royal Mummies Hall costs extra.